Hello and Happy May! 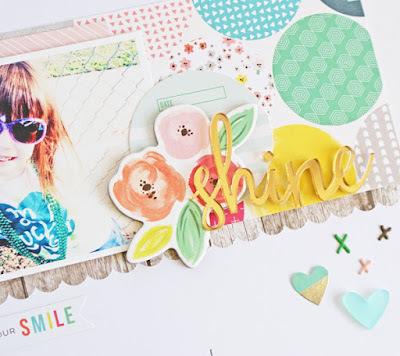 The beginning of the new month at Gossamer Blue brings the reveal of new kits and projects. 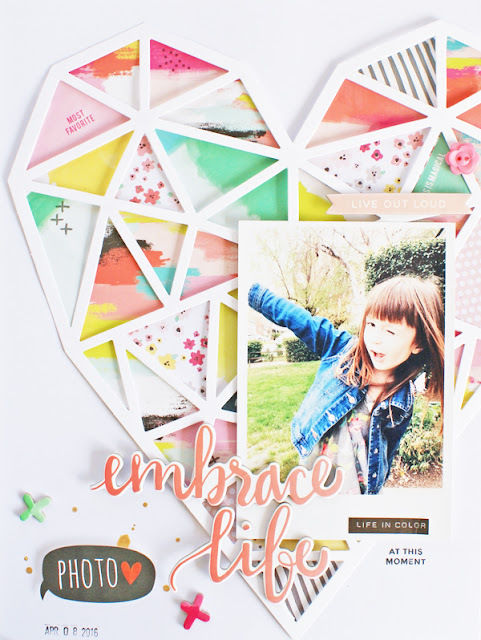 This month the kits are full to the brim with new products from Pink Paislee and Simple Stories--products I have been waiting not-so-patiently to get my hands on. When I opened my packages a few weeks ago I gasped! Really, these kits are literally what my scrapbooking dreams are made of! LOL. The diecut heart from Pink Paislee's Fancy Free, found in Add On Kit #2, was one of my favorite pieces. The heart comes with an already made background, but I altered it a bit by adding in a few pieces of patterned paper from the 6x6 paper pad in the Bits and Pieces Add On. The glassy "shine" acrylic word really made this layout! 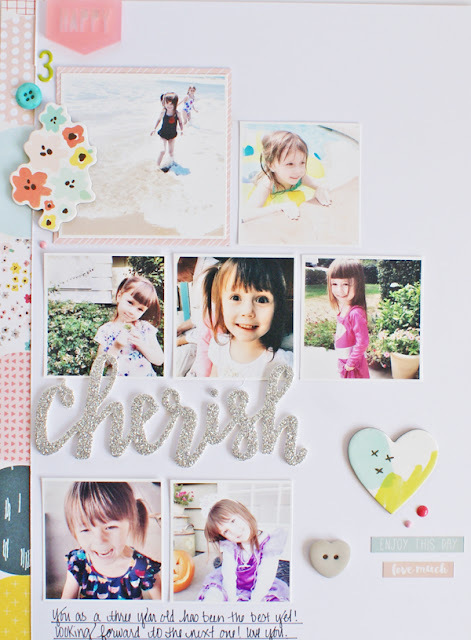 This layout set the personal record for scrapping multiple pictures. I fit seven pictures on this "year in review" layout for my youngest! 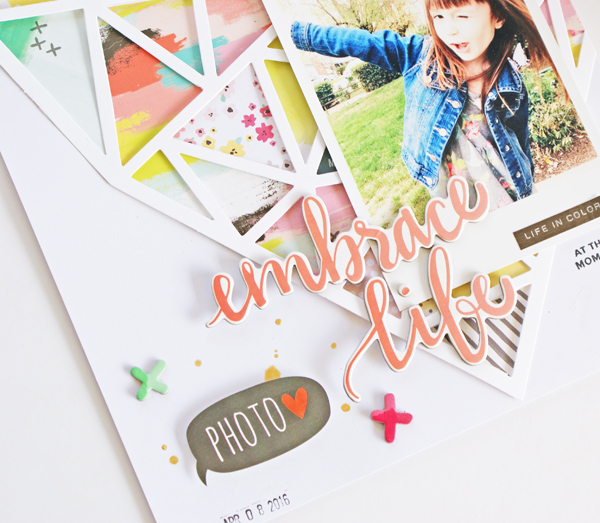 One of the things I have learned when scrapping these types of photos, is to use a patterned paper that features mulitple colors and the circle paper from Pink Paislee was just the ticket. 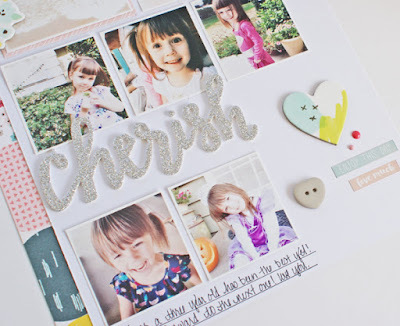 To see even more projects made with May's kits, make sure and head on over to the Gossamer Blue Gallery!